← The World Mourns for Jews After Pittsburgh’s Synagogue Shooting. What About Other Targets of Hate? I want to pour a tablespoon of sand, grit, in everything Angela Duckworth, the author of “Grit: The Power of Passion and Perseverance”, eats and drinks. I want to pour sand into every shoe she wears and she can’t take the shoe off and pour it out. I want to pour sand into her bed so when she sleeps at night, she is rolling around on a bed of ‘grit’. Grit is not a secret to success. Grit is being sold as a magic bean that, if you swallow Duckworth’s sand, will grow a vine that will reach the Moon and a pot of gold hidden there. LOL, Lloyd! I totally agree and really needed that laugh today. Thank you. You’re welcome. Now, how do I get that sand into her food, her drinks, her shoes and her bed without her knowing? Don’t we have to artificially boost her self esteem first and turn her into a narcissist? Oh wait, the self esteem movement swept the nation back in the 20th century and the results turned out sort of dismal. Maybe she is a product of the 20th century self esteem movement and is already a narcissist. Self esteem has nothing to do with narcissism. The exact opposite, in fact. When one genuinely feels good about him/herself, there is no need to be arrogant or narcissistic. Narcissism is a defense against feelings of emptiness and worthlessness. Having self esteem does not mean that person is a narcissist but many children that lived through the sefl esteem movement where every child was told they were great and perfect to create artificial self esteem turned out be be narcissists. A child that developed natural self esteem by not giving up and learning from his/her failures leading to success and a send of self esteem usually doesn’t lead to narcissism. But handing out trophies to everyone and calling everyone a winner so they grow up with self esteem did not work. Telling every child that they are great so they grow up with a strong sense of self esteem did not work. Pressuring teachers to give every child A’s and B’s so they grow up with a strong sense of artificial self esteem did not work. “But if you listen to what’s been going on with the hype over “grit,” you will hear some unfortunate echoes. Right, because, like “grit”, self-esteem can’t be taught or externally forced. It has to come from something genuine – knowing that you are competent and worthy of love and respect (which comes from having been loved and respected). Constantly being told you’re “smart” or “beautiful” or “talented” or whatever, sets up external expectations that the person is afraid they can’t live up to, which leads to feelings of inadequacy and worthlessness, which is the basis for narcissism. Lloyd: I’m a child of the “self esteem” era everyone denigrates, and I hate myself. Make you feel better? Not every child in the 1970s through the 1980s was a victim of the “self esteem” movement. Although the self-esteem movement became a popular fad that swept the nation, not every parent climbed on that train to nowhere. But too many did and when I was still teaching I was a victim of those parents that often attacked me and other teachers that awarded grades based on merit and not the fact that the parents wanted their child to be “given” all A’s to boost their self esteem even if the child did nothing, I repeat nothing, to earn that grade. Even site administrators were under pressure to boost grades to boost self esteem and teachers that based grades on merit for work done were called into the office and bullied when there were too many complaints from self esteem obsessed helicopter parents. The evidence that not all parents were obsessed with false self esteem for their child is the fact that in every class I taught there were students who did the work and earned the graded and did not use their parents to bully teachers to give them the grades they did not earn. “Grit” is a form of gaslighting, which is a form of emotional abuse. No child ever goes to school hoping to fail. Children go to school everyday hoping they will be able to engage in real learning. Adults fail children. Adults stifle children. Adults blame 5 and 6 year-olds. Adults fail 7 and 8 year-olds because bell curves demand that adults tell most 9 & 10 year-olds they just don’t have what it takes. Kids don’t need grit; they need real learning, not the drivel adults force on them. Say NO! Teach children to say NO when they feel adults insist they fail. When adults call sifting the same thing as learning, just say NO! Ya gotta go back to school. If you’re really for this. I agree with this wholeheartedly: “We need wraparound services, counseling, tutoring, after school programs, community schools, jobs programs, continuing education for adults and other services to help heal the trauma of growing up poor in America.” I just worry that each of these valid needs is being co-opted by those eager to datify every social service, thereby subjecting each child to a lifetime of profiling and predictive analytics. (viz. Social Impact Bonds/Pay for Success) There is NO benign need to collect data surreptitiously from students as they do their school work and receive needed services, none at all. Grit and perseverance are important qualities and as Duckworth said contribute very much to an individual’s success. That people want to use it to avoid the difficult task of seeking better school funding for schools does not lessen the significance of perseverance in people’s lives. Whether the individual is high IQ or possesses other qualities, the person can get lost in school if the environment is poor, and medical, psychological, and other services are not provided for students. We should give every single child the opportunity for the greatest development. Presently that is not the case. 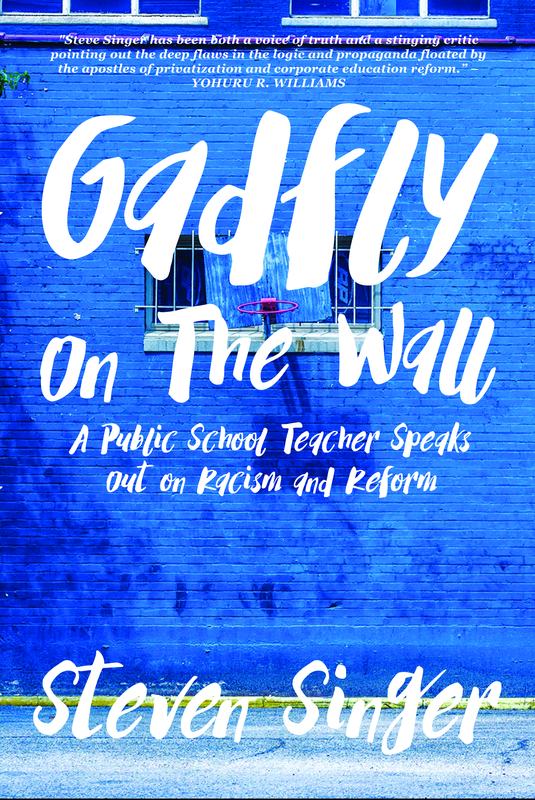 Some people, maybe policy makers, and other influential people, will see the solution as putting the blame on teachers, of preaching self esteem, or shielding themselves behind ideas such as ‘grit,’ but that is shirking their responsibilities. When a person says ‘Talent if Overrated’ he still recognizes the importance of talent but also acknowledges that other attributes of a person count for much.